This premium drum-dyed leather will prevent sag, while keeping your holster and pistol or revolver in a perfectly vertical position all day long. 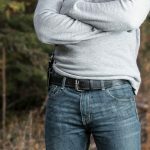 Bigfoot Gun Belts makes each belt with a double layering of English Bridle leather in order to provide you with the strongest support to your handgun. This premium drum-dyed leather will prevent sag, while keeping your holster and pistol or revolver in a perfectly vertical position all day long. 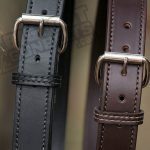 According to Bigfoot Gun Belts manufacturer Jonnie Hebert, each strip of drum-dyed leather is first checked for quality. 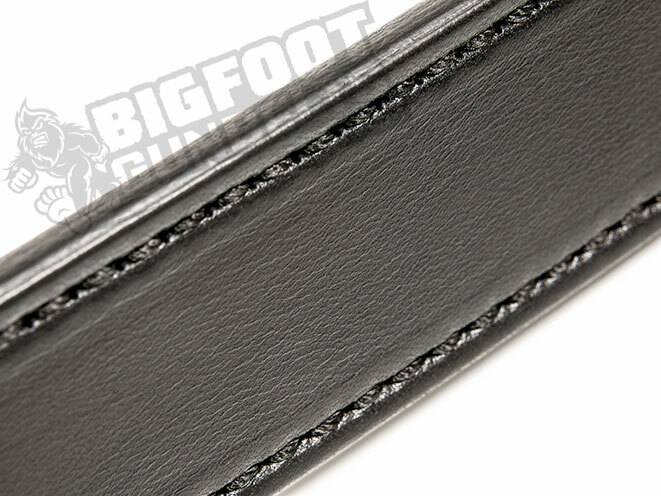 To separate Bigfoot Gun Belts even further from the competition, our craftsmen have chosen to use the same type of leather on both the inside and outside of the belt. 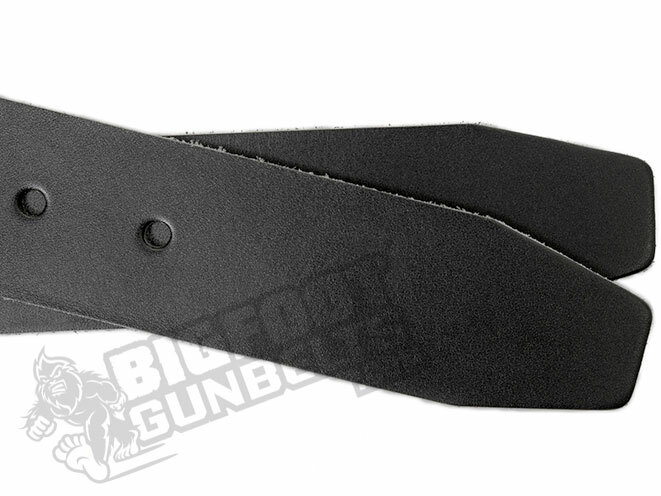 This provides twice the strength and comfort to each handmade gun belt. 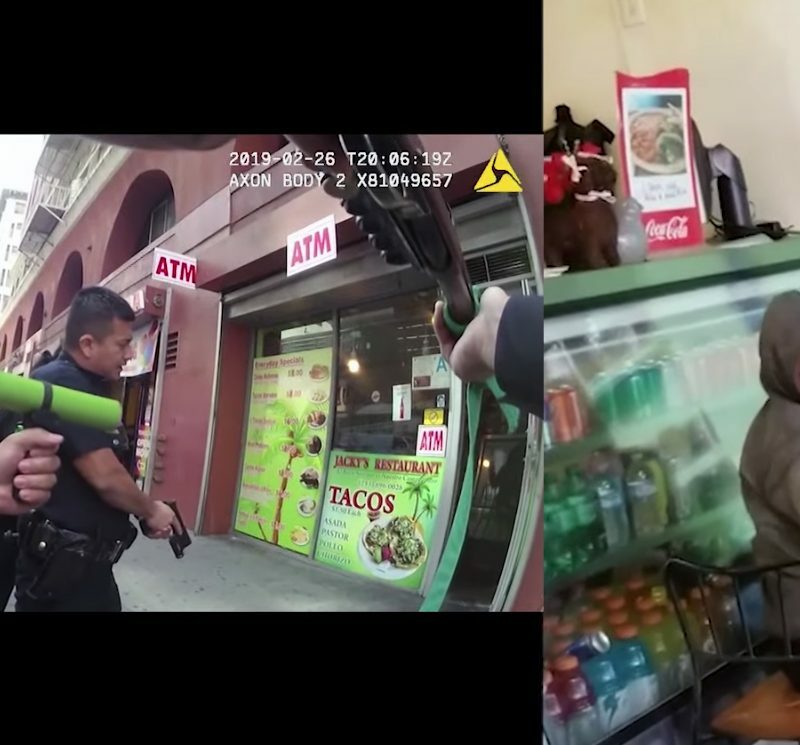 The comfort levels on these gun belts match their rugged durability. 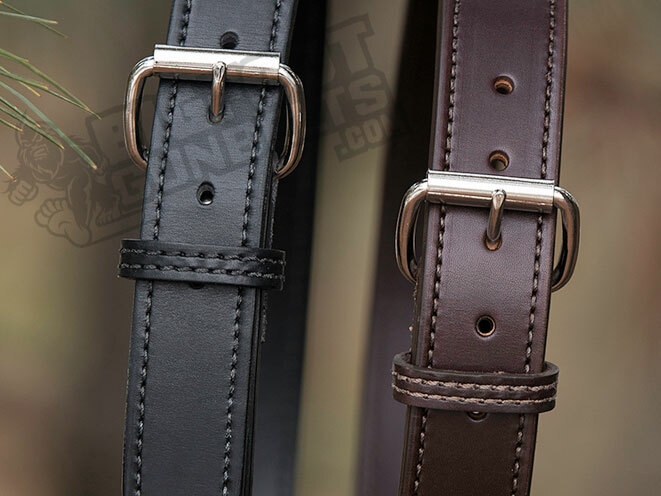 By embedding a spring-steel core between the two layers of rich English Bridle leather, we are able to produce the best gun belt on the market today. 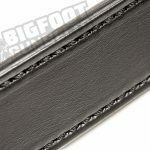 From the initial inspection to the final logo press station, Bigfoot Gun Belt leather is handled with care in order to preserve the natural quality of the cowhide. 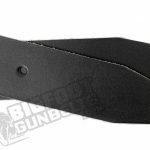 Feel this legendary leather for as low as $54.88 at http://www.gunbelts.com, and choose a 14-ounce or 18-ounce leather gun belt with core.